Do you have these symptoms of dizziness, vertigo or imbalance? Find out if you’re a candidate for physical therapy. The primary organ for regulating equilibrium is the inner ear. Besides helping you hear, it also is a sensory organ to help you orient yourself in space and maintain your balance. Various factors including low blood pressure, ear infections or head injuries can affect the signals sent between the inner ear and the brain. That may create a sensation of dizziness, or vertigo. Dizziness, loss of balance and fear of falling are more common in older people, making this an increasing concern in an aging population. The number of Americans 65 and older is expected to nearly double by 2050, to 88 million people. According to the National Institutes of Health, balance-related falls account for half of accidental deaths in people 65 and older. 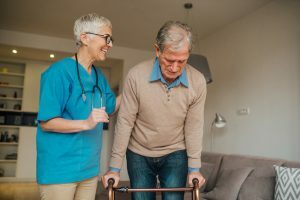 In addition, nearly 300,000 hip fractures and $3 billion in medical expenses result from balance-related falls each year. Dizziness, vertigo or motion intolerance. Acute or sharp attacks may last only seconds, or several hours. This condition may be caused or worsened by rapid head movements, turning too quickly, walking or riding. Persistent sense of imbalance, unsteadiness, or what some people refer to as loss of surefootedness. This may lead to a high risk of falling, which can result in fractures or head trauma. The good news is that diagnosis and treatment options have become more effective over the past 10 years. According to Johns Hopkins Medicine, 85 percent of all forms of dizziness and imbalance can be helped once a diagnosis is made. Benign positional vertigo (BPPV) – About half of those over age 70 will experience this condition at some point. Older adults with BPPV have a greater incidence of depression, falls and reduced activities of daily living. BPPV causes intense, brief episodes of vertigo immediately following a change in the position of the head – for example, when you turn over in bed or sit up in the morning. BPPV is the most common cause of vertigo. Labyrinthine infarction – This phenomenon leads to a sudden, profound loss in hearing and balance functions. It typically occurs in older patients. It usually leaves the patient with some unsteadiness and balance issues for several months. Vestibular neuronitis – This condition appears as a sudden episode of vertigo without hearing loss in an otherwise healthy person. It can occur as a single attack or as multiple attacks. Occurring more often in spring and early summer, it is often associated with an upper respiratory tract infection. The onset of vertigo is sudden and is typically associated with nausea and vomiting. This can last for days, with gradual improvement over the following weeks. The disorder is often followed by episodes of benign positional vertigo. Labyrinthitis – This is an inflammatory process occurring within sensory receptors in the inner ear. It may be caused by bacteria or a virus. Viral infections can produce symptoms of dizziness along with problems with the cochlea, which may affect hearing. 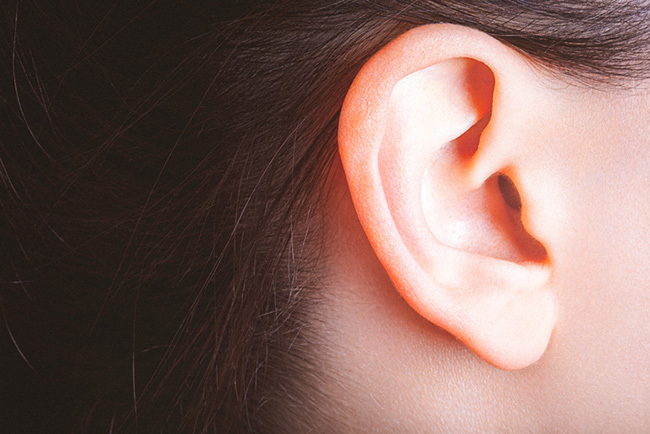 Meniere’s disease – This disease involves the excessive buildup of fluid in the inner ear. It is an uncommon condition that may affect adults at any age. It is characterized by sudden episodes of vertigo lasting 30 minutes to several hours, along with hearing loss. Migraine – Migraine is more than a headache disorder. Just as some people experience a visual “aura” with their migraines, others can have episodes of vertigo and other types of dizziness between migraines. Mal de debarquement – Also known as “disembarkment sickness,” it is actually a common and normal occurrence. It involves a continued sensation of motion, rocking or swaying that persists following prolonged exposure to motion, such as on a cruise, car, bus or train ride. Concussion – Blows to the head and whiplash are frequent causes of dizziness. A concussion is a traumatic brain injury that occurs when the brain is violently shaken. It is usually the result of a bump, blow or jolt to the head or body. It is among the most commonly reported neurological conditions. Think of each inner ear as a propeller on an airplane. For the airplane to fly in a straight line, each propeller must produce an equal number of revolutions per second. If one of the propellers stops or slows, the airplane will veer off course, or fly in circles. Likewise, when there is a change in any part of the inner ear – its vestibular system – one can experience the feeling of turning or motion, which we call dizziness or vertigo. Now imagine that the airplane has a sophisticated onboard computer that could be programmed to adjust and correct for the difference flying a straight course. In the case of a human balance disorder, the brain acts as the body’s onboard computer. Vestibular rehabilitation reprograms the inner ear’s connections with the brain to adjust the imbalance. There are four general categories of therapy for balance disorders. One or more of these may be advised to help a patient recover as quickly as possible. Balance retraining – For patients who have a loss of balance, unsteadiness, or loss of surefootedness. Most of these patients do not report dizziness or motion intolerance. We emphasize practical solutions to common problems such as difficulty getting around in the dark, walking on uneven surfaces and moving unencumbered on ramps or stairs. Fall prevention, movement coordination and improved participation in everyday activities are high priorities of the program. Vestibular rehabilitation – Designed for patients whose symptoms may be severe and who require supervision during exercise. Therapy sessions include the use of vestibular therapy equipment, which most people enjoy. 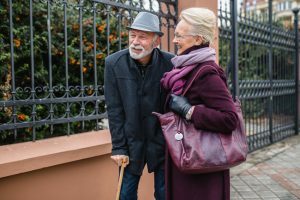 For older patients, there is an emphasis on fall prevention. Typically, the patient participates in two or three 60-minute sessions per week, with an average of eight to 12 sessions. As the patient progresses, home exercises are added. Canalith repositioning/liberatory maneuver – Also known as the Eply Maneuver, it is designed for the inner ear condition called benign paroxysmal positional vertigo. This condition occurs when the salt-like crystals in the inner ear, called otoconia, become dislodged and float within the canals of the vestibular system. Treatment includes one or two 20-minute visits as the crystals are gently repositioned. Self-directed exercises – Home-based therapy that patients can do on their own. Each program is designed for the individual patient, based on test results and the situations that bring on symptoms. This approach is most commonly used with patients who do not require supervision during exercise. Best results occur when the patient spends 20-30 minutes per exercise session, two to three times a day. Most patients report a significant reduction in their symptoms within two to four weeks. If you are suffering from hip or knee pain, please call us toll-free at (877) 342-2669 to schedule an evaluation. 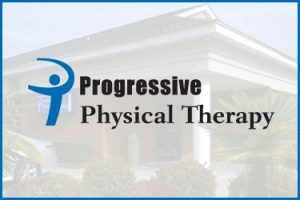 Progressive Physical Therapy can be your partner in leading a healthy and painless life. Are you feeling movement or dizziness when you are standing or sitting? You might have vertigo. Contact our locations that specialize in dizziness and fall prevention today. Together we can help make your world stop spinning. Please call us toll-free at (877) 342-2669 to request an appointment at one of our centers that specialize in treating dizziness and vertigo.